For the second time Dave, Mike and Dennis Gada all made a trip to victory lane in the same division during the same season – a feat they would accomplish a 3rd time two years later. Dave won his 2nd SK track championship by 300 points over brother Mike. Todd Ceravolo won the SK 100 during the season ending Shoreline 300. During the 125 lap portion of the Waterford 200 on July 30th, there was one of the most spectacular crashes in Speedbowl history when Larry Lamphear and Dennis Gada crashed into the frontstretch wall. Lanphear's car burst into flames and a roaring fire erupted near the grandstand fence. Fortunately all the drivers escaped uninjured. When the race resumed, it was rookie Jeff Pearl, son of '93 SK Champ Jerry Pearl, won the 125 lap event for his first career win. 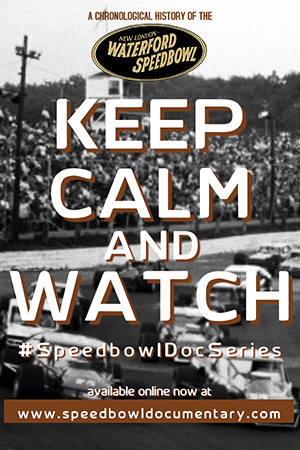 Watch our video below including interviews with many who were at the Speedbowl on this night, either on the track or in the stands. 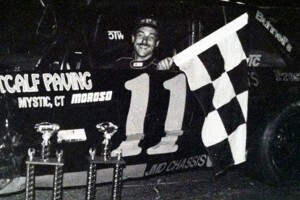 The 1992 SK Modified championship team of Ron Berndt (owner) and Ted Christopher (driver) split during the first month of the season over disagreement of which car from their garage to run weekly. Although Christopher won the season opening Blast Off 94-lapper, Teddy left the track after being involved in a heat race accident with George "Moose" Hewitt (after earlier being involved in a wreck in a postponed SK feature event earlier in the day) during the season's first Saturday night event. Berndt, who chose to run the backup car instead of immediately repairing the primary car (which Christopher wanted to run weekly) subsequently put Late Model superstar Phil Rondeau in the North End Auto Parts #54 for the remainder of the season where he would win twice (including the Race of Champions qualifier) and finish in the top 10 in points for the season. Johnny "The King" Cambino, once again returned at age 63 to compete in the Limited Sportsman division. He won the first race – the 30-lap/double point event during Blast Off! weekend – and 2 weeks later he won a 20 lapper. He also won the 25-lap feature during the Waterford 200 and finished first on the track for the season-ending 50 lapper, but didn't pass tech and was disqualified. Although not racing for the point championship (he finished 12th), Cambino led the division in wins with 3. Charles Bailey III won the points title by a slim 10 over Michael Caprio. Ernie LaRose came out victorious in the season-ending 50 lapper. In the Mini Stock's last season as a Sunday Stocker division, Jeff "Soup" Civardi would capture the point championship driving an Alfa Romeo. He also led the division in wins with 4. Dan Darnstaedt won 3 times during the bi-weekly Sunday series. Future Saturday night stars continued to get seat time during this season's Sunday Stockers Series. 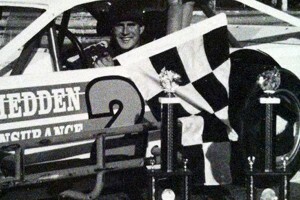 Tucker Reynolds Jr, who would amass 16 SK Modified features in the late 1990's, won back-to-back features in the Pure Stock division. 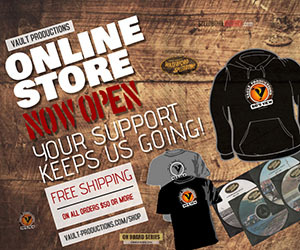 Future 2-time Sportsman champ Chris "Moose" Douton won 3 times. Eventual 6-time track champ Allen Coates also won a Pure Stock feature. 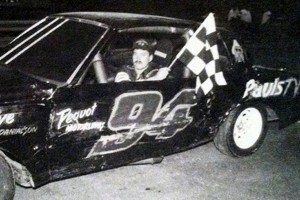 2 time winner and '93 Pure Stock champ Mark Lajoie would later run in the Street Stock division into the mid-2000s. There were a combined 40 different feature winners for the Saturday night divisions including 16 different SK Modified winners. 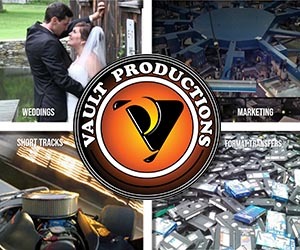 However, there were no visits from any of the regional touring series. 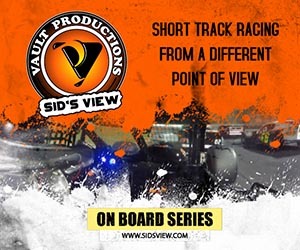 The only events outside of the point divisions on Saturdays and Sundays were three 200 lap enduros and eight demolition derbies. 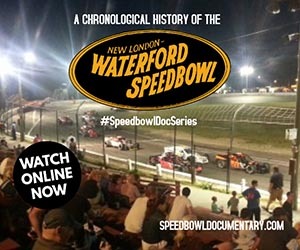 The popular Legends of the Speedbowl exhibition scheduled for August 20th was cancelled.